After the resounding success of the first two seasons, Epic Channel presents a revamped avatar of its Raja Rasoi series. While the lore and love of Indian food remains just as passionate, the new season presents a discovery oriented show format that transforms table-top cooking into an exciting food lab. Featuring renowned chef Ranveer Brar, the show takes viewers to his retreat —an old world bungalow basking in the laidback vibe of Goa and then along on a ride nostalgia and rediscovery both personal and culinary. Q Why did you choose to become a chef? Food has always been my calling. What started as a humble attempt at preparing Meethe chawal at a local Gurudwara to cooking for my mother for the first time, I knew I wanted to do more with food and pursue it in all sincerity. Q Your show on Epic is a hit.How did Raja Rasoi Aur Andaz Anokhacome your way? This has been my favourite show. Not many people might know this but I almost did Season 1 and even shot a pilot for it, then I got busy and it didn’t work out at that time. So amazing how this came back around and I got to be a part of Season 3. Q What is the work mantra you always abide by? The mantra I abide by is that “Food is God”. All that I am today is because of food. I have always believed that food is a giver. Once that thought is in place a lot of respect, sanity and perspective comes into you and your workspace. Q Which one do you prefer mostworking as a chef or hosting TV shows? Both involve cooking, which makes me happy. As a chef, in my own restaurants I have the opportunity to envision food and interpret my visions on a plate. Television as a medium allows me to reach out to a larger audience, whom I do not see or interact with directly, but still connect with at a much deeper level. Q If you were told you could eat just one dish for life, which one would it be and why? Khichdi! It’s a perfect one-pot meal that’s been a staple in our cuisine since ancient times. Give me a plate of khichdi with achaar, dahi and papad, any time, any day and I’ll be happy. 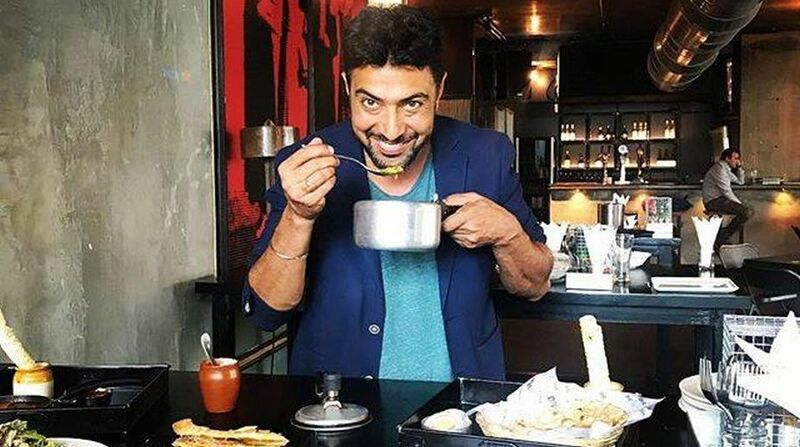 Q What ingredients are the most important in a Ranveer Brar dish? I would say salt! The make or break ingredient in a dish. A little above or below the required proportion and either the flavours become subdued or the dish becomes salty. Q Which one is the toughest to prepare —snacks, main course or dessert? Main course is the toughest. It’s the part of the meal that holds the attention of the eater for a really long time and it’s a challenge to balance comfort with interest. Starters and desserts tend to flirt with the palate, they come and go, but main course is what grabs the person’s attention and touches their soul for the longest time.